In your visit to Verona you’ll be struck by the beauty of the ancient architecture as well as the numerous artistic, historical and cultural locations all over the city. Walking through the streets in the center you can notice how churches and ancient buildings make a magical backdrop for a vibrant city life. The typical restaurants (osterie and trattorie), which will fill up quickly around dinner time, can be found on every corner offering wonderful menus which represent the traditional Veronese and Italian cusine. 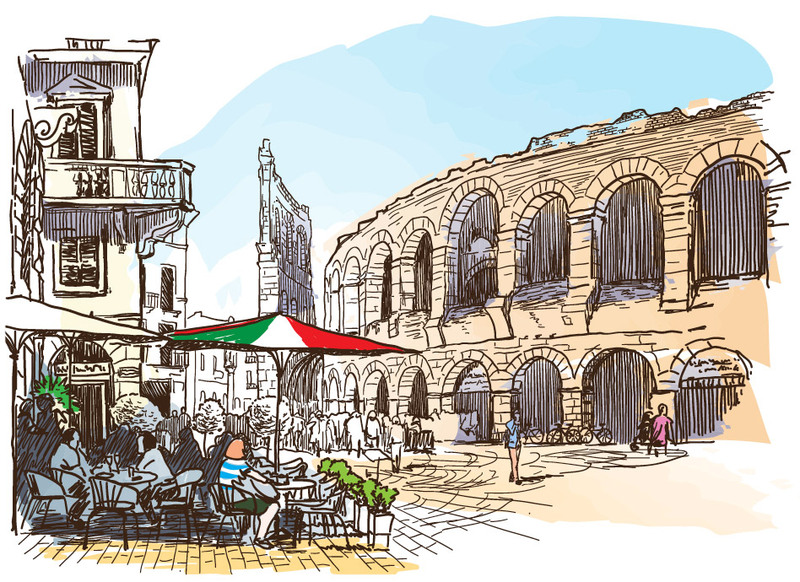 Verona has the perfect location for people who like to get around, do sport or visit the other areas of Italy. Lake Garda, the largest in Italy, is just 15 minutes away by car. The hillside of Valpolicella is renowned for its wineries and the Lessini Mountains are both a must for cyclists and sport lovers. Amazing cities such as Venice, Mantua, Milan, Padua, Trento, Bolzano and Ferrara are all easily reachable by train in about an hour.